Scenes from the City-Mother and Daughter take Manhattan! 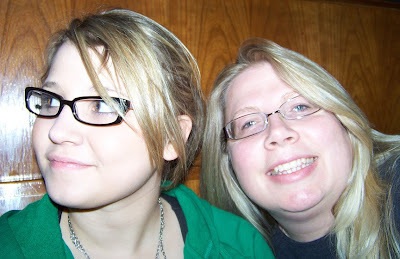 Caroline and Myself preparing to take Manhattan…..
Well, not exactly, lol! We did spend a few days walking around, exploring and taking in the sites. We had a lovely time staying with Rebecca at her home in Queens. She is a great hostess and made us feel so at home. She picked us up at the Long Island airport and she and her husband drove us back when it was time to leave. We had so much fun hitting the thrift shops on the way back to her house. We also hit a fabulous flea market in Connecticut. The weather was absolutely perfect-sunshine, cool, autumn breezes and hillsides of trees proudly displaying their colorful foilage. I took so many photos, I’d like to beak it up and post them over the course of a few days and by theme so you can enjoy them in small bites. 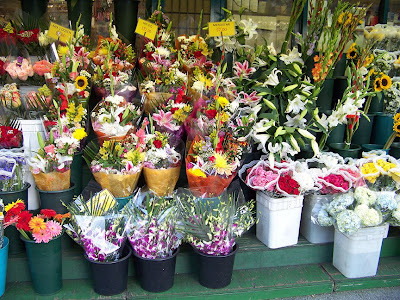 I think I’d like to start with photos of one of my favorite things about Manhattan-the flower stands outside the corner shops. These are absolutely lovely and my daughter was so good to spot them and snap glorious photos of them each time we encountered one. There’s no place like New York, but also, there’s no place like home! 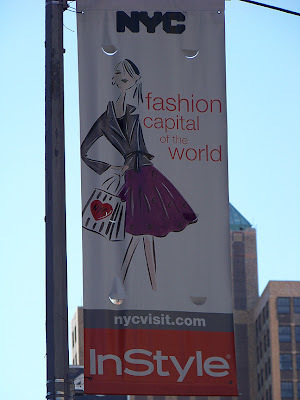 Yeah, yeah, we know…it’s the fashion capital, hence Project Runway! I was so taken with this huge advertisement on the side of a brick building. What the heck is the message here? 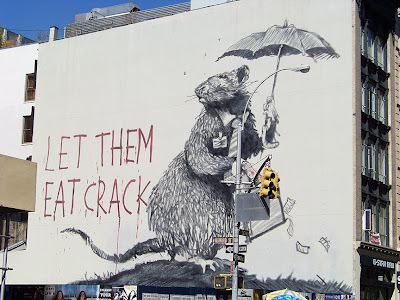 Quit the crack habit and throw it in the sewers so the the rats can eat it? I don’t know, but I love the illustration all the same. 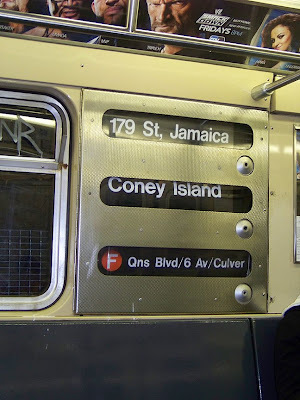 One of the stops on our subway ride. 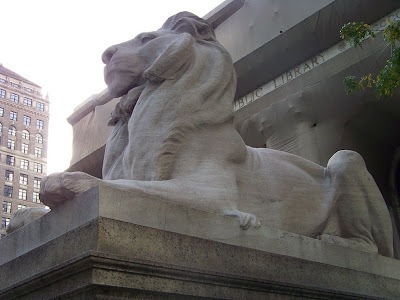 The very old, weathered lions that guard the NYC public library. Just next door, Bryant Park. 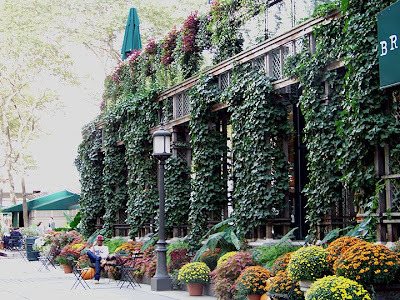 This is the outside of the library, covered in ivy. This is a beautiful, happy place to sit and have a quick rest, or read a book. It’s right in the center of all the hussle bussle. 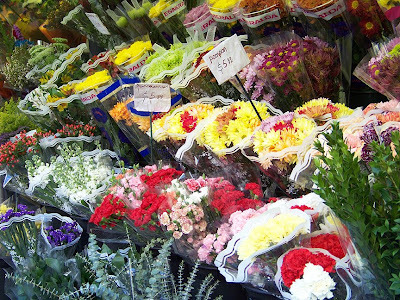 Floral eye candy that is irresistable. 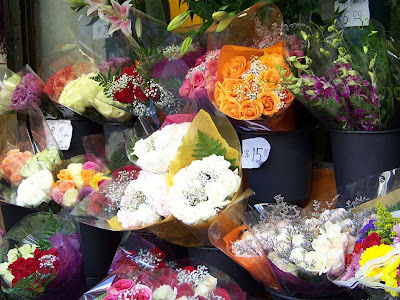 If I lived in NYC, I’d have to grab one of these bouquets a couple times a week to make my table happy. 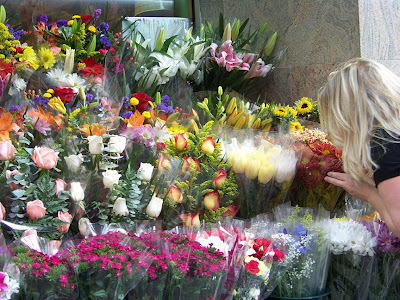 That’s me, taking in the fragrance of these gorgeous arrangements. Previous postCountdown to New York City! Hi, Em! Yippeeeeeeee! You're back! I've missed you, missed you, missed you! I'm SO glad you had a blast! I knew you would! Love the photos! That library is gorgeous. I'd be there so much they'd think I was a stalker! 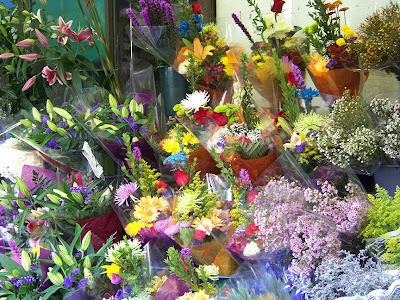 And the flowers – wow! 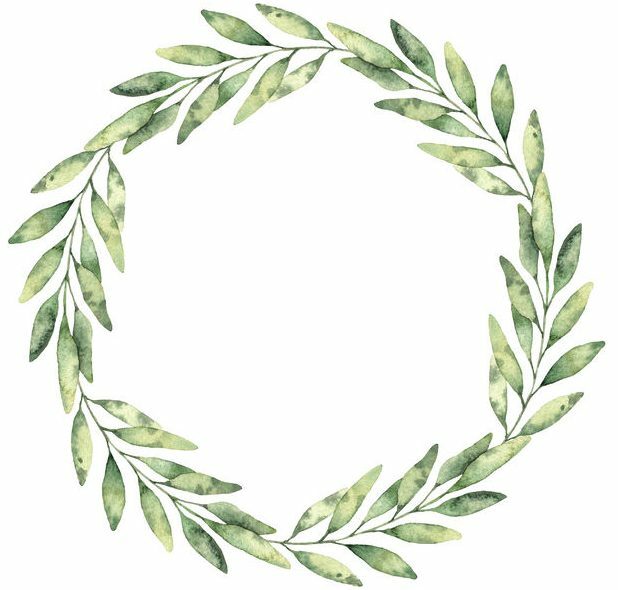 I am conjuring up MY idea of the beautiful scents! Making us wait for all the pictures, huh? You tease! LOL! I will SO be back each day to look for more photos! Hope there are some of you & 'Becca together! Love your photos and can’t wait to see what else you post for us!! Glad ya’ll had a good time in the CITY..
Gorgeous pictures! Carrie is some photographer! I had such a great time with you guys, really, it was like we’d been friends forever. I can’t wait to come out there for a visit! !